MARY SANDERS SHARTLE is a poet, fiction, and essay writer. Her novel about a woman living alone in the Adirondacks: The Truth and Legend of Lily Martindale, is available from SUNY Press. She was awarded a 2007 individual artist’s grant from the New York State Council of the Arts, a state agency, to complete the book. The novel has since won a number of prizes including the ALA Indie Fab award for best fiction, IPPY gold medal for best novel in the Northeast, SUNY’s Editors Choice award, and two awards from the Adirondack Center for Writing (best fiction and people’s choice.) In January, 2014 she was a finalist in the Tupelo Press Open Prose competition. The story, “The Spider Web” appeared in their on-line Quarterly. www.tupeloquarterly.com/the-spider–web-by-mary–shartle. She is a member of “The Three Poets” with colleagues Marilyn McCabe and Elaine Handley, who were three times winners the Adirondack Center for Writing Literary Award for best book of poetry for their chapbooks Notes from the Firetower–Three Poets on the Adirondacks (2005) and Glacial Erratica: Three Poets on the Adirondacks, Part 2 (2006); and Winterberry, Pine: Three Poets on North Country Winter (2010). Their full length book, Tear of the Clouds, was released by Ra Press in 2011. Shartle teaches numerous writing workshops for adults, children and teens. She regularly hosts book discussion groups for Road Scholars (Elder Hostel) at Great Camp Sagamore. She is one of eighteen authors and also co-editor of A History of Bethesda Episcopal Church: Worship and Healing in Saratoga Springs (2018). 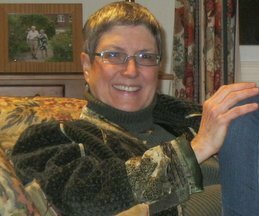 She was also an editorial committee member and contributor to The Galway Story Quilt: Poems of a Place by the People Who Live Here, published in 2007 which won the Joseph Shubert Award for Library Excellence, New York State’s most prestigious library award. Shartle was the director of the Saratoga Poetry Zone in Saratoga Springs, New York from 2004 until 2007, hosting poets such as Brigit Pegeen Kelly, Dan Hoffman and Rachel Hadas. She has been a board member of the Adirondack Center for Writing. Hi, I discovered your book The Truth and Legend of Lily Martindale this summer when in Long Lake, had I been there the week of Author’s Night, I hope I might have purchase it then. So many books set in the Adirondacks are fun to read because of the “where” the book is about, but most fall very short of being good writing in my estimation. The other most recent book I found valuable as good work was Bibi Wein’s book. Your book stunned me as I began to read it, and I find that while my reading time is drastically reduced now that I am back to work, once I open your book, I am filled with delight, not only because of the location, but because the writing is simply world-class in my estimation. I’ll be finishing the book today or tomorrow…and will be saddened by being through it, but that must come with all good reading. I’ll post a comment on Amazon when completed. I am also feverously promoting your book to all I know who love good writing as well as the Adirondack setting. Simply a delight to read. Thank you, Al. Every writer hopes to hear those kind words. I haven’t seen Bibi recently, although I run in to her from time to time. The Way Home is one of my particular favorites. Yes, Bibi’s book is one of my favorites as well. I bought many copies for friends…will be doing that with your book as well. I sent a copy of Bibi’s book to a (now former ) Tupelo Press poet and good friend, Pat Fargnoli….check her out. The more I read, the more I fear the end if coming faster than I desire. I hope you know this is a wonderfully crafted novel….I am sure you do. It was no accident. I have waited for the open space of Labor Day weekend to finish Lily Martindale. I am 30 pages from the end. This is simply delicious…can’t wait to finish and say something positive on Amazon. Thank you again, and thank you for the Amazon review! Thank you! I am delighted that you take the time to respond, but it really isn’t necessary. I write what I feel. I don’t want to say too much about the book and it’s ending…don’t like taking away from a reader’s delight….but this actually had me tearing up. I am not sure what an old guy like me takes away from this book, but it is very strong. Clearly, you have created a gift to the reader. You must be thrilled to have written this book! My husband also cried. Always an honor. For me there are a lot of connections with Lily although my larger circumstances are, of course, miles away from her own. Without getting crazy with personal history, I was drawn to the spirit of her character as it is described on the back cover of the book. It could be there is something very universal in her struggle. I truly am stunned by this book. I’ve ordered one for a friend, another friend is ordering one and my wife is about to embark on the journey through the book. I simply hope she can glean the life in this book. It breathes at every moment….not a single paragraph of fluff or fill. Sent your book to a friend..retied SUNY prof.84, extremely well read. She loved the book too! I asked her to clarify what she meant about resenting the epilogue. I might not understand her. Please contact me about scheduling a workshop in Keene Valley. Karen can’t find the email she sent you. Thanks. To say “The Truth and Legend of Lily Martindale” left me emotionally stunned, yet exhilarated, would be understatement at the very least. I sometimes wonder if you, like any great artist, appreciate the sheer power of the gift God has given you. I fully intended to read “Lily Martindale” even as I stood at your table at Hoss’ Authors Night in Long Lake in early August, and out of shyness, spoke not a word. (Today, I would have had a lot to say). A few days later, I bought a signed copy there. As a collector of hymnals and someone who used to work social events at an NYC museum, your book had an additional interest to me. I also found myself wondering if the poignant American ballad, “Lily Dale” influenced you at all in characterization of Lily. As I prepare to return once more to New Jersey until next year, “Lily Martindale” will be the hallmark of this most special of summers. Thank you, Mary, from the bottom of my heart. THANK you, Tom! And a safe journey back to New Jersey. I just now listened to Willy Nelson and Darrel McCall singing Lily Dale – never heard it before, so thanks for that. The game for my friends and relatives is to see how many hymns in the book you can sing. Thanks so much for your kind words, Mary. I always liked the Willie Nelson version of “Lily Dale” but to me, the definite “all-verses on deck” favorite is the Tom Roush one, also on YouTube.com. To me, it evokes the dreamy legend-like aspect of your Lily even more. Blessings!